Keep time in style with this sporty Akribos XXIV watch for women. 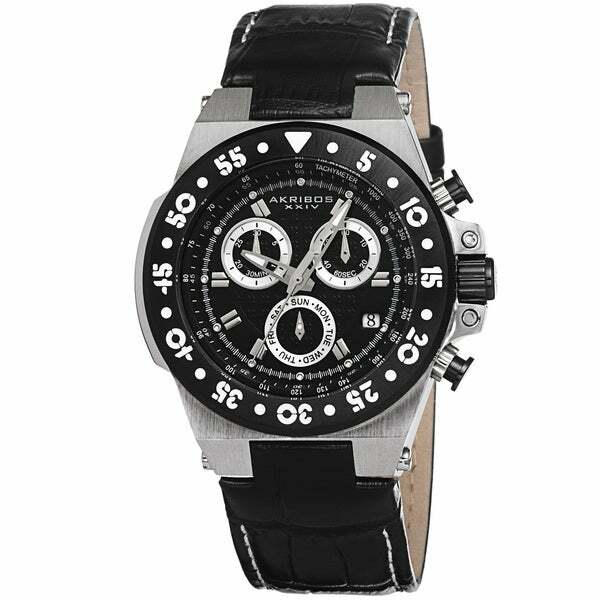 It features a genuine leather strap with contrast stitching and stainless steel case. The Swiss quartz chronograph movement includes a 30 minute timer, day and date display.